Start the reduction first by adding balsamic and maple syrup and get it simmering on low. In the meantime, cover apricots in olive oil and using either a griddle pan or an actual grill, place the apricots down and cook for 2-3 mins, moving around slightly so they get a little bit of color and don't stick. The balsamic reduction is done when it reaches an almost syrupy consistency - about 5 minutes. If it's over done, it gets really thick; so move off heat as soon as it looks a little thicker and stir as it cools. 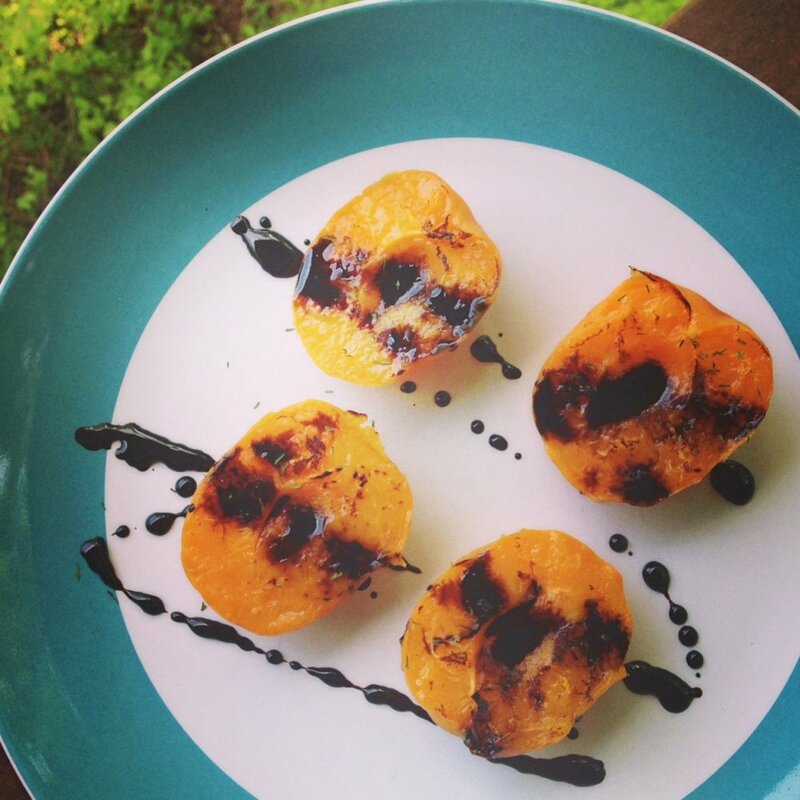 Drizzle apricots with balsamic and a little bit of fresh basil or dill. Then, enjoy!